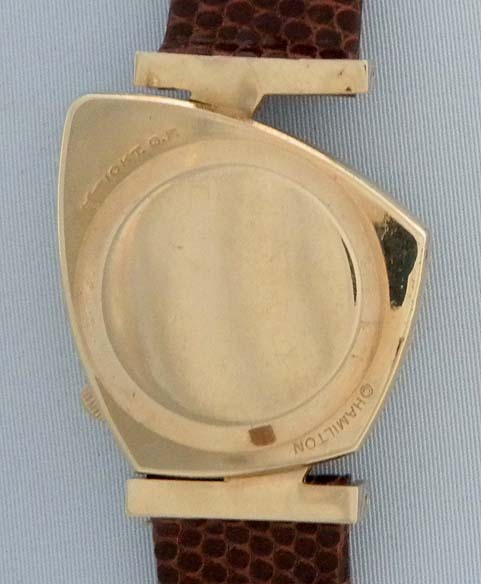 Rare Hamilton Altair gold filled electric vintage wrist watch circa 1960. Futuristic asymmetrical case. 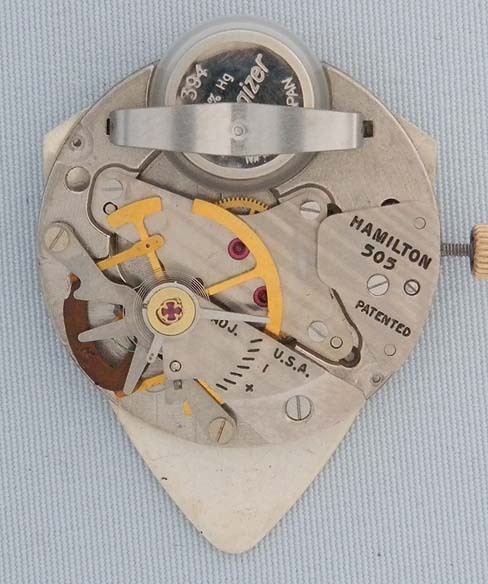 Original white dial. Calibre 505 movement. 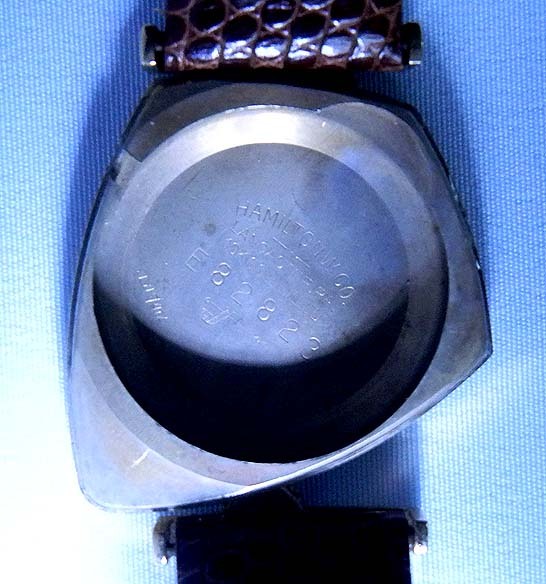 The Altair is one of the scarcest electric watches with an estimated production of 500 pieces. 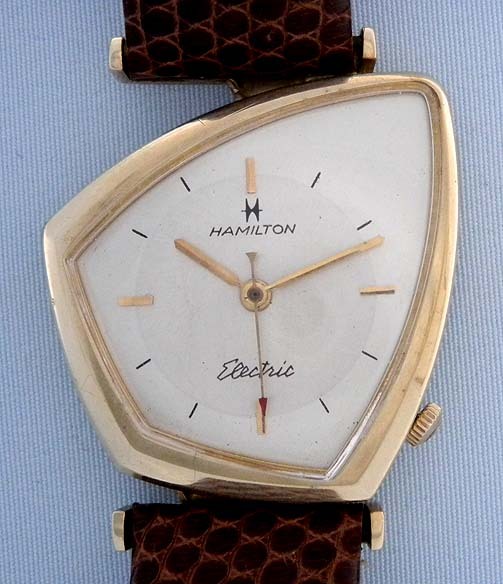 Early Hamilton electric watches can be temperamental and are not recommended for daily use.